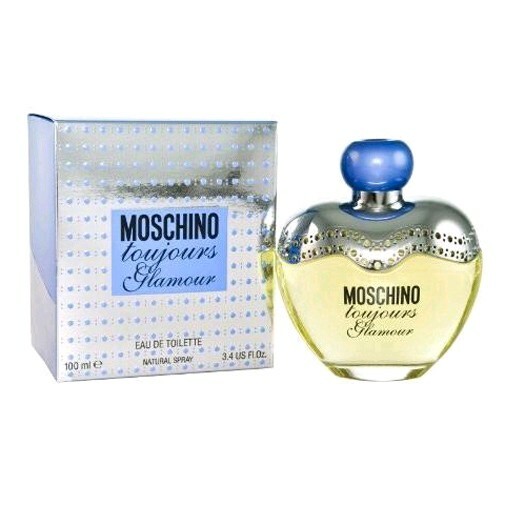 Launched by Moschino in 2010. Toujours Glamour is a lovely scent contained in an even lovelier bottle. It is a modification of the earlier Glamour, which is similar but yet different. The fragrance is complex and what the wearer senses initially changes after an hour or so. The top notes are red currant, violet leaf and cardamom. The heart notes are almond, lily of the valley and jasmine. The base notes are heliotrope, musk and benzoin.